A marque occasion for classic cars in Britain, the London Classic Car Show returns in 2017 to ExCel London from February 23 to February 26. The event is a must-see for car lovers and allows unparalleled access to many classics from the most famous brands of the world’s roads and race tracks. Every year the show plays host to interesting exhibits and exciting announcements, and this year is certainly no exception – in fact, it looks set to be one of the biggest shows yet thanks to some headlining news. 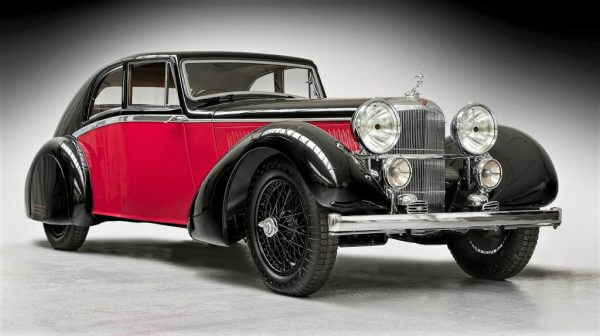 The biggest buzz around this year’s event is undoubtedly the return of Alvis. This classic British manufacturing company was famous throughout the years for its high-performance race cars. But the company disappeared in the late 1960s and the brand was quietly folded into various manufacturers such as British Leyland and finally BAE Systems. But now the brand is returning with a bang. Several original Alvis vehicles will be showcased at the show and orders will be open for a new production of classic Continuation replicas. Whenever someone thinks of F1 drivers who should have been world champion, Jacky Ickx is always in the conversation. The tenacious Belgian fought his way up the grid to become a race winner with Ferrari and Brabham – racing alongside champion team-mates such as Sir Jack Brabham and Mario Andretti. But it was at Le Mans where Ickx shone brightest. He won the endurance event for a sixth time in 1982 and held the record for most Le Mans victories for over two decades until 2005. 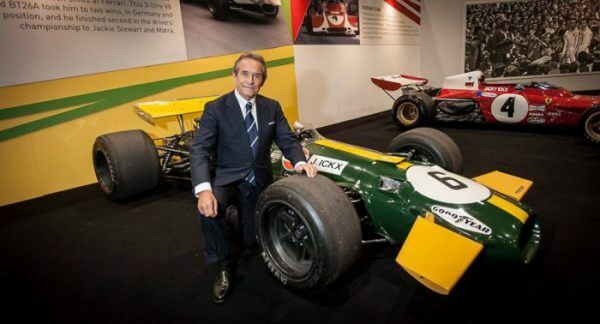 Ickx will be rewarded with the annual Icon Award at an unmissable star-studded gala evening where he will also be joined by five-time Le Mans winners Derek Bell, MBE, and Emanuele Pirro. For the first time in its 50 year history, the Beaulieu Autojumble will be leaving its Hampshire home and bringing a pop-up version of this classic gathering to the Classic Car Show. Considered the largest autojumble event in the world outside of the United States, this festival sees old car parts traded and sold. Over 35,000 people take in the autojumble every autumn, so the opportunity to see this historic pop-up event in London is one not to be missed. With this year’s Classic Car event set to attract 40,000 people over the weekend-long show, a record-breaker, the area around ExCel is set to be crowded. And with the exhibition centre sitting just outside the heart of London, it makes public transport more difficult to navigate. So why not cut through the masses and experience a luxurious form of travel with a professional London chauffeur service? ExCel is huge and navigating a massive collection of cars is sure to make feet feel tired – so there is no better way to recover than being chauffeured back to your hotel without hassle, in comfort and with style. At Mercedes Chauffeur Hire, our chauffeur driven cars can be hired for the day – allowing you to easily head back into the centre of London for lunch, before arriving back at the event in no time at all.